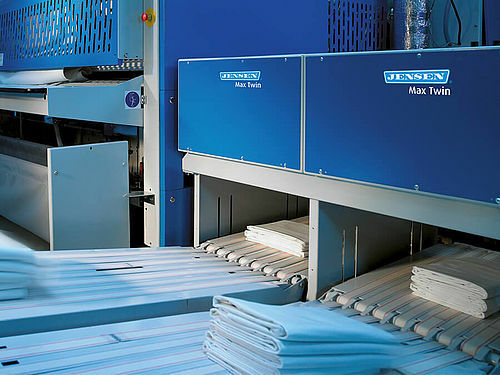 Fast and simple large-piece stacker designed for the Jenfold Classic SW.
Fast, simple and reliable stacker for large piece linen Stacks the pieces by means of the simple drop-stacker principle. 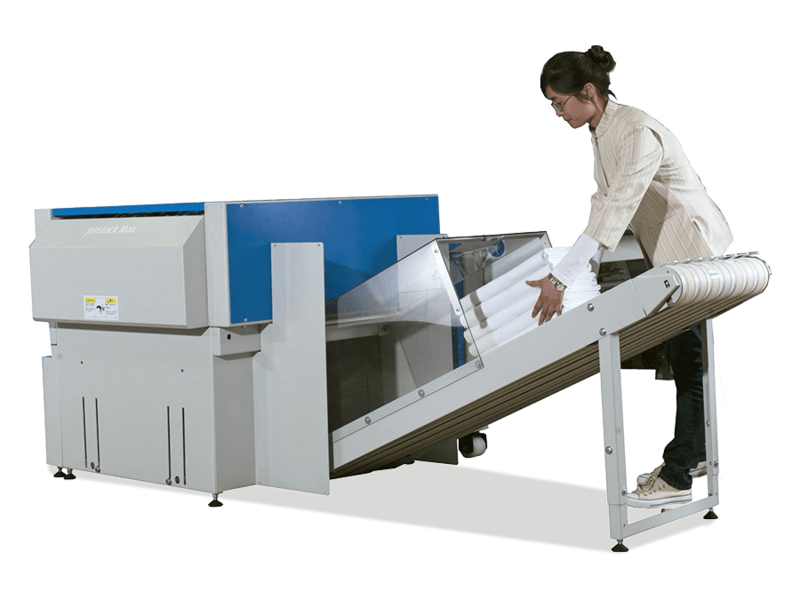 Multiple stackers for automatic sorting possible. Stackers positioned on each side of the folder possible. Automatic delivery to JENSEN Jenway possible.